Fence Repair - Fence Contractors In Fort Collins | Advanced Landscaping & Sprinklers, Inc. Fences are one of the most important elements of your home and neighborhood. They provide protection, security, privacy, and aesthetic value. Many homeowner associations in Northern Colorado require fences of all kinds to be regularly serviced and repaired in order to maintain the value of the homes in the neighborhood. If you live in Colorado, you’ve surely experienced the wear and tear that can affect your fence as the years go by. Rain, hail, snow, ice, and wind – Colorado has it all! If your fence has been damaged by the Colorado elements or by an accident, Advanced Landscaping & Sprinklers, Inc. can help! Advanced Landscaping & Sprinklers, Inc. is a member of the Better Business Bureau, and we’re proud to be Northern Colorado’s Top Rated Local® landscaping and fence repair company. Cedar fences are commonly used in Colorado because of their durability and versatility. Cedar fences can be painted or stained, and they’re easy to maintain. They make great privacy fences, and installing a cedar fence is almost guaranteed to increase the value of your home. 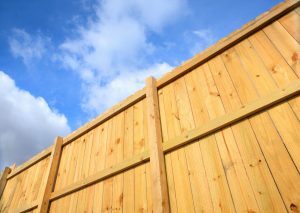 The elements, animals, and many other unexpected variables can damage your fence, creating an eyesore for both you and your neighbors. If your cedar fence needs repairs, Advanced Landscaping & Sprinklers, Inc. is your go-to resource. Split-rail fences are a beautiful addition to every yard. While split-rail fences don’t provide as much privacy or protection as traditional cedar fences, split-rail fences have been increasing in popularity for commercial and residential properties alike over the past last few decades. These types of fences are known for their durability and low maintenance costs, but they can become damaged and worn down over time. 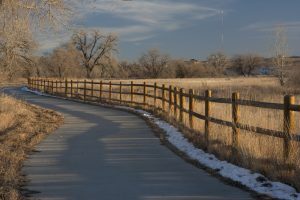 Advanced Landscaping & Sprinklers, Inc. is proud to offer split-rail fence repairs in Fort Collins and Northern Colorado. Contact us today for more details! Advanced Landscaping & Sprinklers, Inc. accepts credit cards or checks. Additionally, no payment is required on small projects until the job is completed.